The United Nations Population Fund (UNFPA) held Preliminary Dissemination Workshop on the National Research on Domestic Violence against Women in Georgia - the first initiative to generate nation-wide evidence-based results on the prevalence, causes and consequences of domestic violence at the Courtyard Marriott On May 27-28. The research was carried out in partnership with the ACT Research and the Centre for Social Sciences and is the first initiative to generate nation-wide evidence-based results on the prevalence, causes and consequences of domestic violence in Georgia. As the survey revealed, among women who have ever been married every eleventh woman has been a victim of physical violence. 35% of women report on having experience acts of violence intended to control their behavior. e.g. 29% of women are not allowed to have relations with family, 11,6% need permission to use medical services from their husbands and 11,1% of women say they are forbidden to talk to another man. This data points that women are more open to talk about the forms of violence which are socially acceptable and are trying to hide the truth when it comes to physical and sexual abuse (because of fear and shame). Another important finding of this survey is women’s perception of a family being a secret place, where anything can happen inside, but should never be put outside for discussion or public debate. 78,3% of surveyed think that domestic violence problems should remain within the family and should not be discussed publically. This kind of perception is one of the factors that hinder effective fight against domestic violence. 34,1% of women justify husband beating his wife in certain cases such as cases of adultery, disobedience etc. Interestingly, domestic violence against women is closely related to the educational level. The lower is the educational level of woman, higher is the percentage of such actions, for instance, 60% of women with incomplete secondary education become subject to their husbands’ control more often than women with complete secondary, professional or higher educational levels (35%). The Preliminary Dissemination Workshop aimed at presenting and summarizing survey findings and elaborating relevant recommendations to inform the formulation and refinement of policies and action plans as well as advocacy and public awareness-raising campaigns on gender-based and domestic violence in the country. The results have revealed the truth about the phenomenon of violence against women and has documented that it is a widespread problem throughout Georgia requiring stronger governmental policy and active public awareness campaigns to empower women and increase their awareness about their rights, remedies for protection and help available for victims. As the research has shown increasing women’s participation in public life, improving their access to education and workplace and establishing equal rights and opportunities for women and men is the key to combating violence against women. 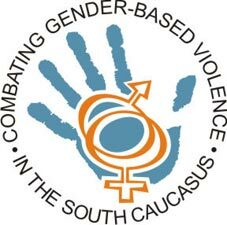 The research was based on the methodology elaborated by the World Health Organisation (WHO) within the framework of the Norwegian Government and the UNFPA co-funded project “Combating Gender-Based Violence in the South Caucasus” which is a multi-pronged, 3 year project contributing to the national response to gender-based violence in the three countries of the South Caucasus – Azerbaijan, Armenia and Georgia. The survey report will be available publically soon.